If selecting a package, be sure to select “none” on frame options. If selecting a started package be sure to select a frame size “deep or medium”. We will be offering Started Packages. Started Packages – will consist of a #3lb. package put into a 5 frame nuc hive with five new frames of new foundation. We will be sure the queen is released, accepted, and is laying up to our standards. We will also provide heavy feeding to promote wax production. 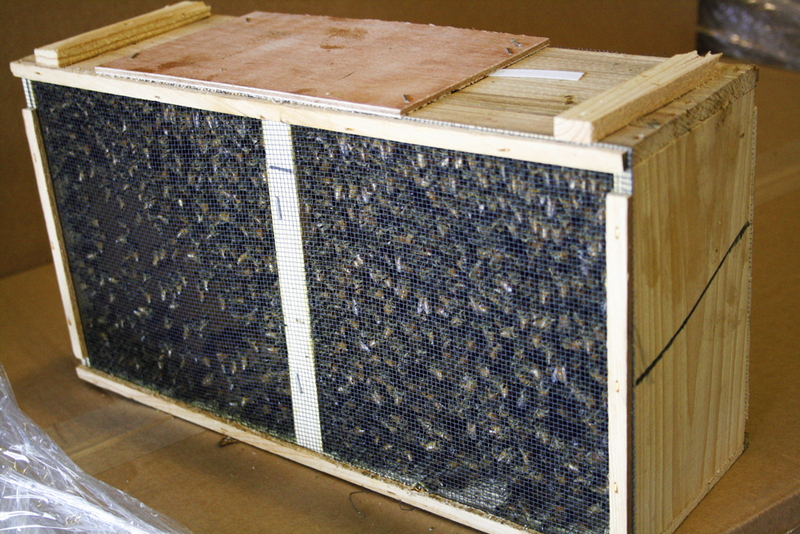 When you receive the started package it will have brood of all ages with new bees ready to emerge within about one week. Its almost the same as getting a nuc colony. We will assume the risk of bad queen, absconding, chilled brood, queen acceptance, etc. When you take it home, you get to keep the five new frames to transfer into your full size hive. 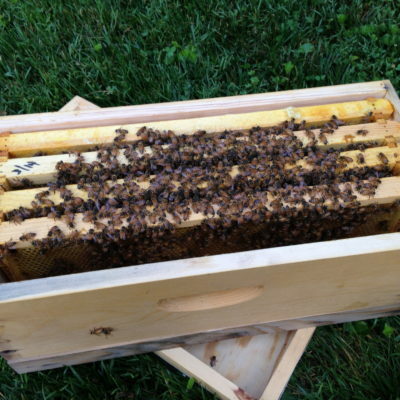 You can request to have your package started on medium frames if you are bee keeping in all medium boxes to make the transfer into your hive easier. The started packages will be available about 2 weeks after the delivery of the packages. There are options to the Started Package. You can choose to have either Deep (normal) or Medium frames/ hive body (at no additional cost). These will be available 2 week after our normal packages have arrived. You have the option of checking it before you take it home. Our package guarantee is the queen is alive and mated on “package pickup” from us. Once you leave the ownership and survivability of the queen and hive is on you (the beekeeper).